For our second day, we had booked for our son a huge surprise. Well, it was not surprising, because she already knew what we were going to, but it was for him without doubt the main reason to come to America, we refer to our visit to the American Museum of Natural History of New York. 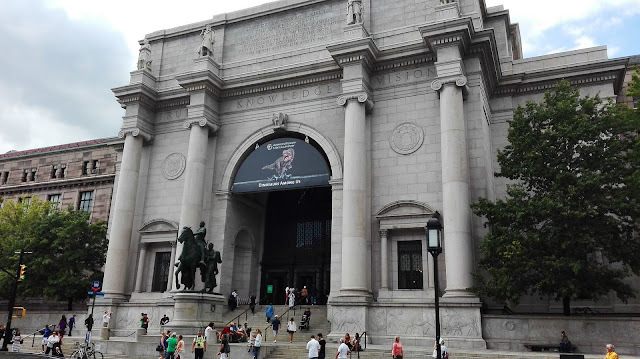 So, after we had our breakfast, we walked to the American Museum of Natural History in New York. From our hotel to the Museum were about 4 kms walk but, what we wanted was to even walk the streets of New York as it was what we loved the most. More than the most famous attractions of the city, we love just strolling mixed in the crowd. Of course, it helped to carry the stroller for our son, whenever he wished to rest, he could sit down and take a nap, because the days were intense but full of fun. This time we opted to stroll along Madison Avenue, which is parallel to 5th Avenue but not as impressive but worth seeing. 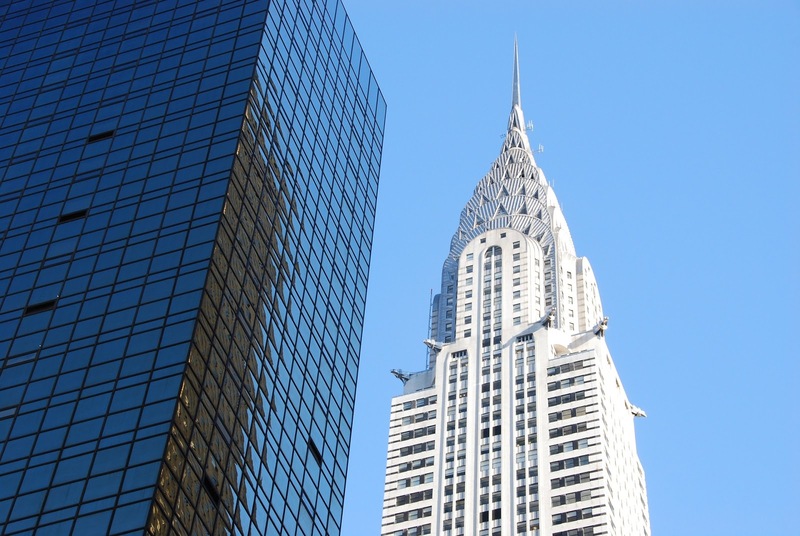 What attracted us most was the Chrysler Building, to which we did not go up (it's not possible) but we took the opportunity to observe from below and, until entering your hall, what you can do for free and have access there to information about your construction. This building is one of the hallmarks of the city, and although it is not the tallest building in the city (it was only the tallest in the world about a year, until being overtaken by the Empire State Building), it is undoubtedly impressive and, very cute. As it was a sunny day, it was even more beautiful. 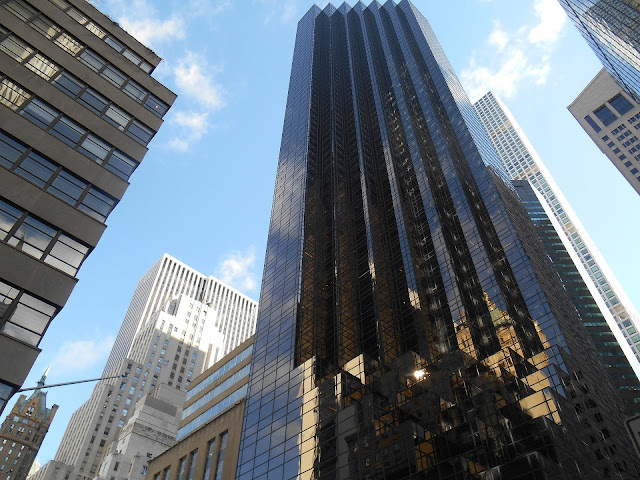 After this brief visit, we continued north to our 59th street, right next to Central Park, past the Trump Tower, which is not one of the most impressive in New York. Probably staying at the hotel will be a great experience but, regarding the building itself, its exterior, we cannot say that it was the one that impressed us most on our trip through New York. Right next door is the Columbus Circle which, it is a rotunda, beautiful but, nothing special. 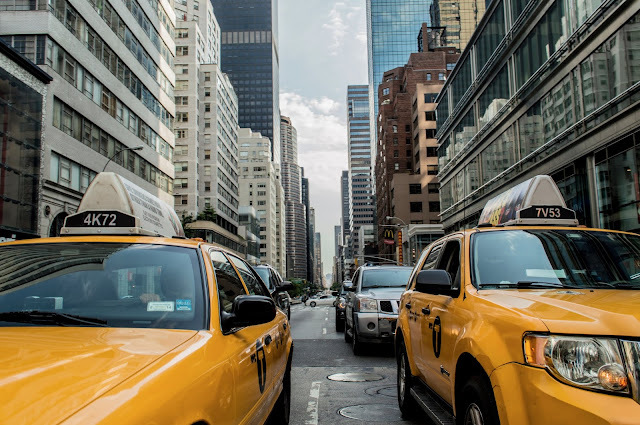 We do not know if it is because we have not seen more rotundas in Manhattan that they consider this so special but, we also do not recommend that here come just to see the roundabout. 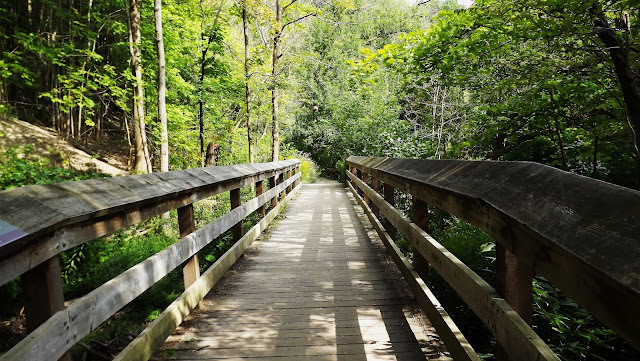 However, as it is very well situated and is one of the gateways to Central Park, you will probably come here and be sure to take your photos. Next to Columbus Circle, we entered Central Park but our goal was not to explore the park yet as we wanted to head for the American Museum of Natural History. 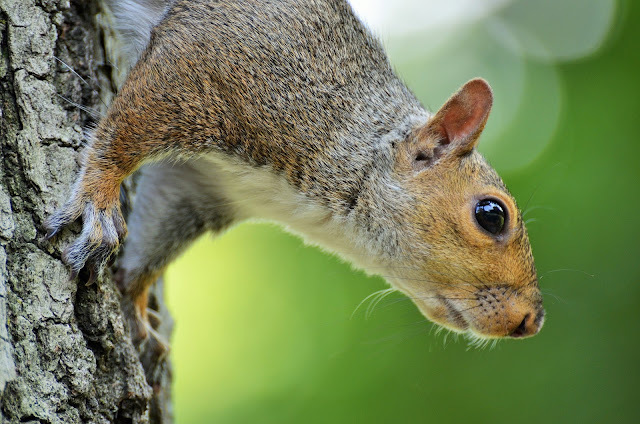 Strolling through Central Park in the morning was delightful, seeing the people running in the morning, the serenity and of course the squirrels, who left our son full of joy, because in Portugal it is rare to see them. But our walk through Central Park to the American Museum of Natural History had an intermediate purpose, which was to visit the Strawberry Fields as well as see the famous Dakota Building, though famous for negative reasons. As you may know, it was at this building that John Lennon was murdered by Chapman on the evening of 8 December 1980. This tragic event has forever marked the world of music, and one can not but look at this building with sadness, so we did not take too long our presence with him. Already totally different is the feeling of arriving next to Strawberry Fields, a memorial in Central Park right next to the building. And here it seems that you breathe peace and love. 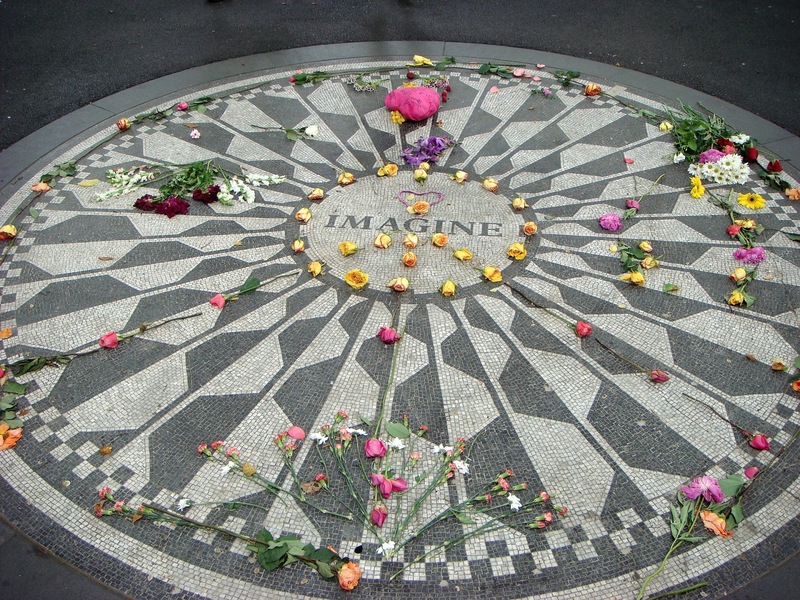 On the floor you will find a mosaic of stones, well in Portuguese, with the inscription Imagine right in the center, and it is frequent to have musicians playing and singing Beatles songs. The people around them seemed to be in communion, to celebrate the inheritance of peace and love that John Lennon sought to leave in the world. 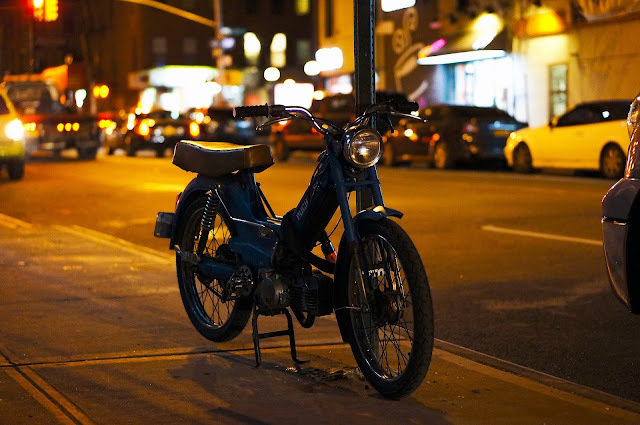 This feeling was one of the best of our visit and New York and, we recommend, be sure to visit this space, we really believe you will love it. The Dakota 1 West 72nd Street, New York, NY 10023. 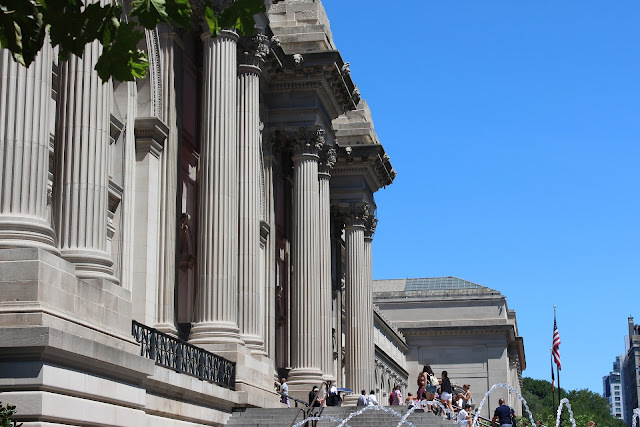 Our son was already getting anxious, because what he really wanted was to go to the American Museum of Natural History in New York, and that was our next destination, finally. This museum is HUGE. It will probably be impossible to see everything with the care you deserve in a single day, so you will probably have to make choices. For our son, the ultimate goal was to see the animals and dinosaurs, and it was from that perspective that we guided our visit. We also think that these are probably the highlights of the visit. You can also visit the temporary exhibition and the planetarium, whose entrance is paid separately. For us, the great highlights of the exhibition were the dinosaur wing, amazing collection they have but we also loved seeing the planets and meteors, Lucy's skeleton and of course the huge and beautiful blue whale suspended. Well, as for the tickets, they start from $ 23USD for adults and $ 13USD for children for the general exhibition, where you can see the 45 Halls of the exhibition. However, there is the possibility of adding one or more activities to this tour, which will increase the price of the visit (For more detailed information, see HERE and purchase your tickets online). But, there is one question, which is as follows. There is no obligation to pay the ticket as a whole. This information we discovered before we made our trip and although we were not sure of the reason, we read that it would be because the grounds for the Museum were given the condition of being able to offer a cultural service to its visitors and, thus, not being so in need of the charged at the entrance. Therefore, if you don't want to pay the ticket in full, you will have to buy your ticket at the ticket counter, this option is not possible online. Then the real question is, how much to pay? Let's be honest, the trip to NYC, for our budget, was expensive and of course we were in the mood to save on everything we wanted. However, we also know the importance of museums and the need to have funds to maintain and improve their activity, so we did not want to go almost free. Briefly, we wanted to pay a price that we considered fair, even because we would not see the whole museum, because certain parts would be less interesting for our son. So, we decided to pay $40 USD for the three (two adults and one child). It allowed us to save some money (which we would end up spending in a snack in the Museum cafe, which is very good) but we did not disrespect the Museum, which we considered wonderful! Unmissable. It was total madness for our son, from the time we walked in until we left. For anyone traveling with kids to NYC, this is definitely a place to go, we love it. As we mentioned, we lunched inside the Museum and this is another good quality of the museum, as there is a huge food court there, as well as three well-located cafes and several bathrooms, which is always important on a trip with children. The Museum is open daily from 10 a.m. to 5.45 p.m., only closes on Thanksgiving and Christmas. I must say is fantastic so much so that we ate there again during our stay.There are already several Shake Shack in Manhattan (you can HERE the map), there is a short walk to the American Museum of Natural History in New York. We had read that the queues could be large but, perhaps because we arrived a little late (around 2pm), although it was very crowded, the waiting time was not great and it was relatively quick to get a table to sit down. This may be one with advice, avoid the hectic hours, because there queues and waiting time can make your meal less pleasurable. As for what we choose, everything we ate was very good but even though we are not vegetarians, we also tried the veggie burger from Shake Shack and are forced to say it was the best we have ever eaten. And the potatoes with cheese, simply divine. Another good point is that given the quality of the food, which is by many ranked as one of the best places to eat, prices are relatively affordable, allowing you to have a delicious meal and keep within your budget. After a good lunch, we were relaxing and strolling through Central Park, which is huge !!! It was perfect because, our son fell asleep during the ride, slept a good nap and still woke up in time to enjoy the park and delight once again with the squirrels. 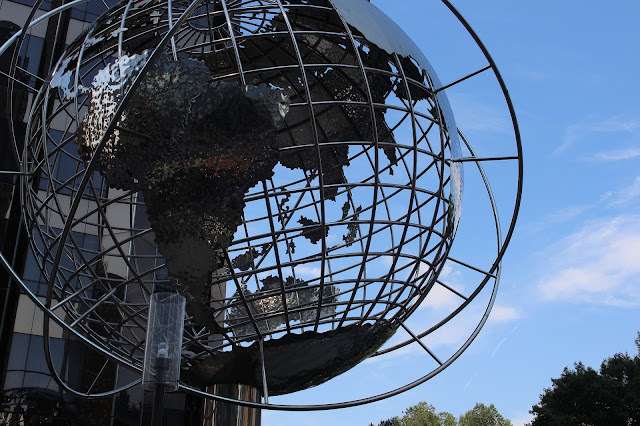 We recommend that, in addition to Strawberry Fields, take the opportunity to see the Belvedere Castle in Central Park, stroll along the Great Lawn and get to know the Shakespeare Garden which is just off 79th Street. Also in Central Park you can visit the famous Zoo of the film Madagascar, which all children have seen. Unfortunately for anyone visiting New York in 5 days, you cannot do everything and this option we had to leave for a second trip but we really enjoyed the walk through the park, and our son delighted to play in one of the playgrounds we found. 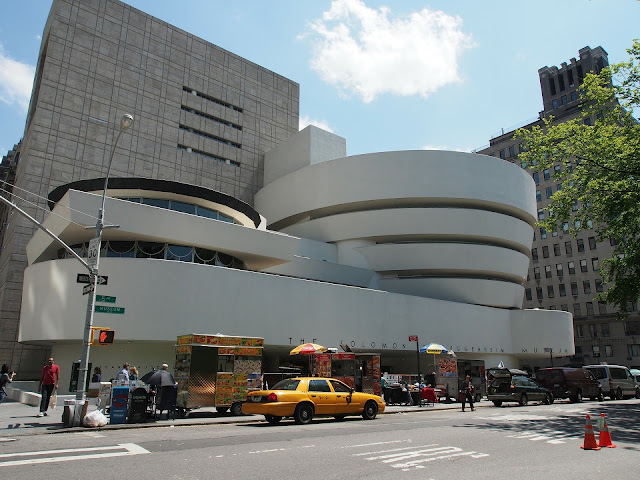 When we talked about the choices, the other two we were forced to undertake were, for lack of time, not to visit the Solomon Guggenheim Museum and the Metropolitan Museum of Arts. We only took time to see their facades, which are next to Central Park, on 5th Avenue. 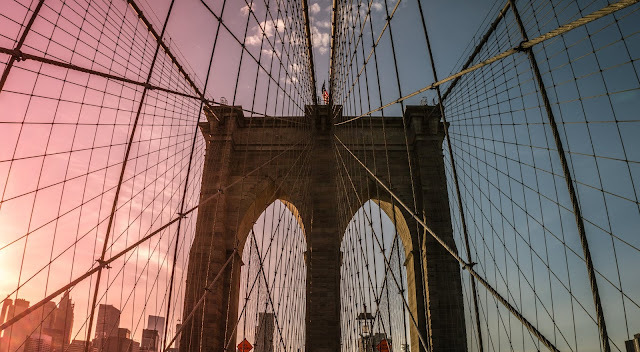 Many people will probably not agree with our choices, which we do not say are the best to do but there is so much to see and do in New York that it is not possible to accomplish everything, both time and financially. If you want to know more about the museums, we leave the links to The Solomon Guggenheim Museum (CLICK HERE) and to the Metropolitan Museum of Arts (CLICK HERE). In them you can access more information about the schedules and prices. In regard to the Metropolitan Museum of Arts, the same rule applies to the Museum of Natural History, Pay what you want. That is, it is up to you to pay what you want/can pay. On our way to the Hotel, we got to know better the Grand Central Terminal (we had already admired it from outside). And if outside the station is beautiful, inside is even more. We have all seen this season several times in countless films, and the children have also seen it in one of Madagascar's films and it is worth knowing, no doubt. While strolling through it, it is impossible not to focus on watching the 4-sided clock in the center of the station, which is the station's famous meeting point. The ceiling is wonderful, an astronomical mural, which is a project of the French painter Paul Helleu and represents the sky seen in the Mediterranean between March and October, with more than 2500 stars !!!! Of these stars, the 60 largest are illuminated by fiber optics. We also enjoyed strolling along the two stairways of the station, which are on opposite sides, and go see the lamps that are on both sides of the main hall and the Vanderbilt Hall, which for many years were thought to be made of copper but after a real cleaning, were discovered to be of gold. The entire building, over 100 years old, retains the exuberance and glamor of the time, which is a charm in the middle of New York, all in perfect condition. 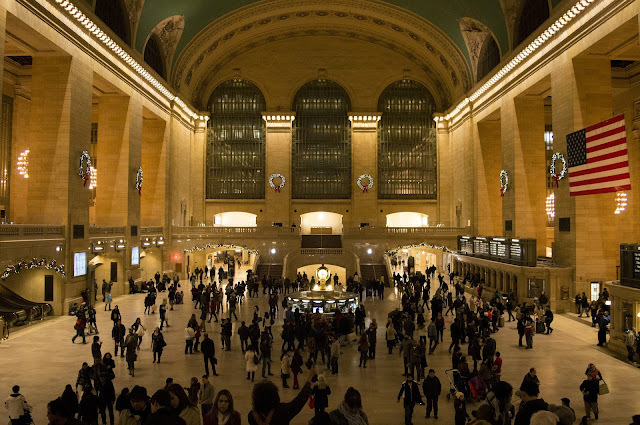 The reason for our visit to the Grand Central Terminal at the end of the day was not solely due to the desire to see the station but also to ally dinner. At this station, in addition to the expensive Oyster Bar and Restaurant, there is also a large food court, used by many New Yorkers to buy their dinner before heading home, and that is exactly what we did, to explore this area of buy our dinner, and finish the day eating in our hotel room as it had been a huge day, and there was a lot to walk the next day. Do not forget to take a stroll around the market and the many shops that exist there. We left only three interesting tips. 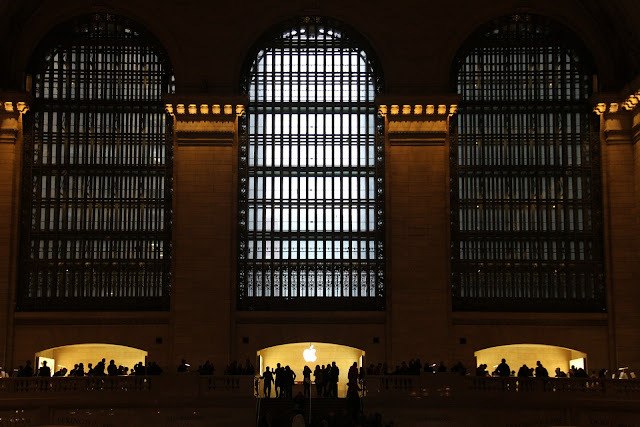 The first is that, near Vanderbilt Hall, you can find an area called a Whispering Gallery, where two people, each one on their side, can hear each other perfectly even in a low voice. The second tip is that the Grand Central Terminal offers a free guided tour every Friday at 12.20pm, which will allow you to get to know this attraction guided by local teachers for 90 minutes. To do so, be sure to be before the start time in the lower corner of the Whitney Museum lobby and then proceed to one of the two groups that you usually organize. 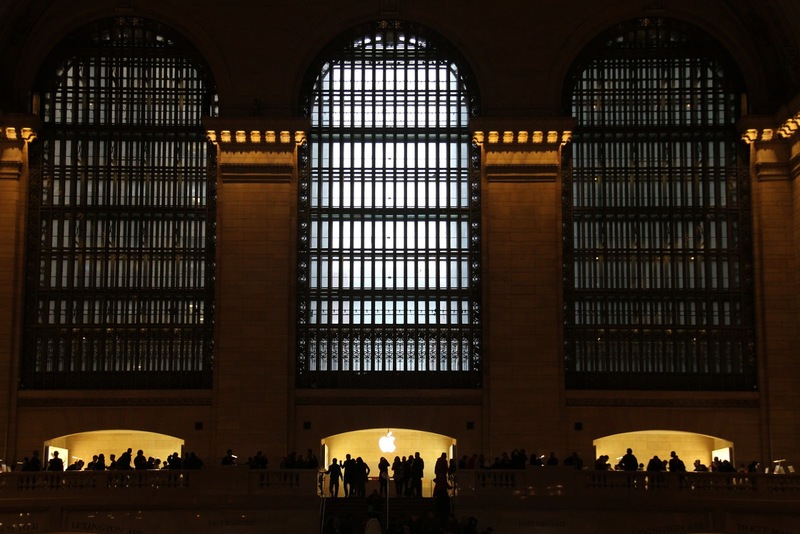 Lastly, the third tip is that if you want to shop at the Apple store instead of at the 5th Avenue store, often fuller, you can do it at the Apple store in Grand Central Terminal, which is often much less full. 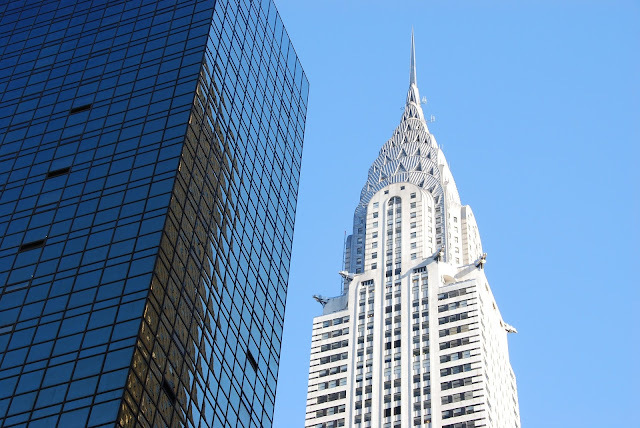 We hope you enjoyed our itinerary for the second day in New York. If you want, you can see our third day of our family trip in New York by clicking HERE. Don’t forget to also leave your comment and to recommend our Non Stop Family blog, we would love to know your opinion and feedback.